Luxury and high processed stainless steel sheets for Elevators in "Imperial Hotel" which is known as highest class hotel in Japan. There are luxury and eye-catching gold color elevators in Imperial hotel Osaka, one of the most well-known high class hotels in Japan. These elevators were set when the Imperial hotel opened in 1996 and has been here for 18 years, however the stainless steel sheets covering the elevators are still keeping it’s brilliant gold color. The pictures below were taken in August 2014. The exterior door of the elevators are consist of two different visual stainless steel parts; one is mirror polished stainless, the another is hairline polished stainless. All the stainless steel parts are gold colored with sputtering coloring process in Japan. The interior walls, doors, cabinet etc. 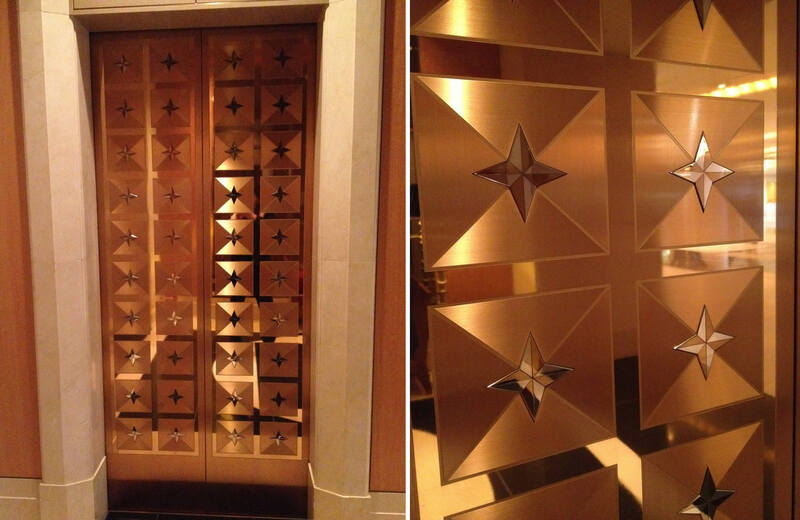 of the elevator cabs are also covered with gold color stainless steel sheets. 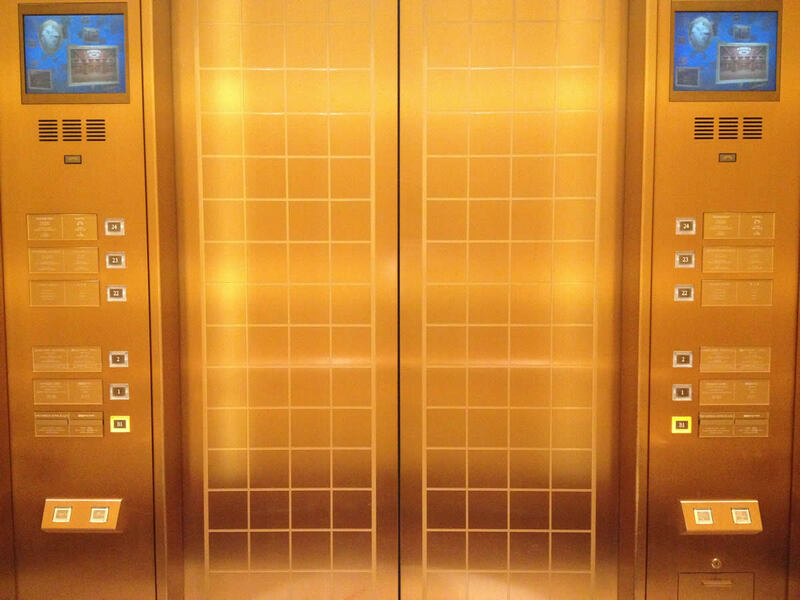 The gold color on the above stainless steel elevators are brighter and looks like real gold color better than so called “Ti – Gold” color with Ion plating (PVC), which you often see in the stainless steel market or on the Internet web sites. If you have any interest in the brilliant gold color, please visit the following website.